Abstract: For the first time in history humanity is confronting global problems, at the very least partly caused by humans . It looks like we will not be able to survive in a high quality way if we do not answer the global challenges appropriately, that is in a spirit of respect and collaboration worldwide. In the social sciences we have developed methodologies that will enable us to engage ourselves on that road: no polarisation, but a comparative, respectful and truly decolonized approach where listening and dialogical knowledge building of the essence. A straightforward three-steps path of research is illustrated with a concrete case. 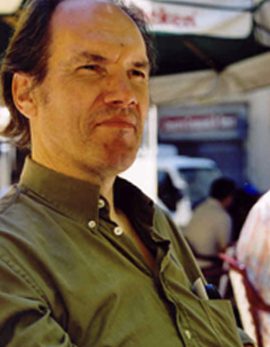 Rik Pinxten studied philosophy and moral science at the University of Ghent. He worked as a researcher at the NSF Belgium, ordinary professor in anthropology and religious studies at the University of Ghent and guest professor at Northwestern University, Chicago, at Syracuse University (NY) and at Vienna University (Austria). His research focuses on cognitive anthropology, especially space and native geometry (Navajo, USA and immigrants in EU) and epistemology of social sciences and religious studies. He is also an activist with essays on the culturally mixed society in the urbanised world, the role of child-centered education in a mixed society and the development of a decolonized mentality in order to successfully deal with the global problems of the 21rst century (climate, poverty, etc.). This involves many lectures, conferences for organisations of the civic society and media presentations. He published 25 books and some 150 articles in different languages. E.g. : Anthropology of space (UPennPress, Philadelphia, 1983); Culture and Politics (Berghahn Publ., Oxford), The Creation of God (P.Lang, Frankfurt, 2010), Multimathemacy: Anthropology and Mathematics education (Springer, NY, 2016).